Sarah Lawrence is a third year medical student at UCLA. She has a passion for service and a truly interesting and varied background. She graduated high school at 15, lived on a tall ship in the South Pacific for a year, studied Farsi and Arabic, and worked in a Bolivian orphanage before college. While completing her degree in Peace and Conflict Studies at Berkeley, Sarah held leadership roles in a number of international non-profits and national organizations focusing on global social justice issues. After graduating in 2010, she worked in international development where she led on-the-ground efforts to rethink health care delivery in East Timor and worked on USAID stability operations in southern Afghanistan. Sarah also worked in Cape Town, South Africa as an EMT on ambulances and in government hospitals for two years and was a founding member of Prosperas International - an NGO working to address childhood malnutrition in the Philippines through sustainable community gardens and partnerships with local agricultural universities. After beginning medical school at UCLA in 2016, Sarah served as Chair of the Speaker Committee for the 2017 LAGHC, and developed and served as Program Director for the UCGHI Advocacy Initiative where she recruited and trained over 30 undergraduate through post doc students across the UC system in how to advocate for global health within the US political context. Jacqueline Pei graduated UCLA in 2018 with a B.S. in Molecular, Cell, and Developmental Biology. She spent her undergraduate years editing the politics section for a newsmagazine, advocating for global health funding through the UC Global Health Institute's advocacy initiative, and working on research that was published in Nature on the use of CRISPR to slow retinal degeneration in mice, and in Cell on the use of artificial intelligence to diagnose retinal disorders from OCT scans. She is currently researching how Vitamin A is processed in the retina and better understand the molecular mechanisms defining the progression of Stargardt's disease, a form of macular degeneration. In her spare time, Jacqueline enjoys teaching and practicing yoga. She plans to attend medical school in the future. Betty Nguyen is a first-year medical student at the University of California Riverside School of Medicine. During her undergraduate at UCLA, she helped develop and implement the U.C. Global Health Institute Advocacy Initiative and served as the Logistics Co-Chair of the 2016 and 2017 Los Angeles Global Health Conference. Betty's interest in global health disparities led her to South Africa, where she studied medical anthropology and volunteered in townships. Bridging the global to the local, she conducted community-based participatory research with homeless families in Los Angeles. After undergraduate, Betty worked as a study coordinator for three R01 NIMH grants at UC Irvine’s Department of Psychiatry. Betty plans to continue global health advocacy and clinical research as a physician, with the goal of improving health outcomes for low-income communities. Neda Ashtari is a first-year medical student at the David Geffen School of Medicine and Advocacy Chair of the American Medical Student Association (AMSA). She first discovered her passion for health advocacy during her mother’s 12-year-long battle with breast cancer. When her mother was denied health insurance due to pre-existing conditions, Neda and her family witnessed first-hand the financial, physical, and emotional burden of disease on patients and their families. This prompted Neda’s decade-long work with the American Cancer Society (ACS) and Susan G. Komen Foundation-- facilitating workshops at the ACS Leadership Conference, serving as a Cancer Action Network Advocate and ACS Legislative Ambassador, and founding the first high school Relay for Life in California. After receiving the Susan G. Komen College Scholarship for cancer-related community service, she served as a Komen Student Ambassador and co-chair of Colleges against Cancer at UCLA. Neda received her Bachelor of Arts in Fine Art from UCLA in 2016 and plans to pursue a career in medicine and health policy. Simon Levinson is a second year medical student at UCLA. In January, 2018 he became a founding member of the Los Angeles Human Rights Initiative (LAHRI, formerly DGSOM Asylum Clinic) and has worked with an incredible team at UCLA, Physicians for Human Rights, USC and UCLA-Olive-View to grow the initiative into an organization able to provide dozens of forensic evaluations per year to asylum seekers in Los Angeles. Since the LAHRI’s inception in January 2018, he has served as Clinic Chief where he, along with fellow second year UCLA student Fangning Gu lead a team of 16 other medical students and faculty board members and oversee a network of more than 30 physicians, 40 medical students volunteers, and 20 residents dedicated to providing forensic medical evaluations for victims of human rights abuse. During his time as clinic chief he has organized the largest ever forensic medical evaluation training in Los Angeles for nearly 200 clinicians and students, developed protocols for scheduling forensic evaluation cases, forged partnerships with organizations such as Program for Torture Victims, Physicians for Human Rights and Kids in need of Defense, and secured grant funding and coordinated multiple research and advocacy projects for the LAHRI. Outside of the LAHRI, Simon conducts research on pediatric epilepsy and neural mapping with MRI diffusion tractography. As the lone child living in the international student dormitory at Eden Theological Seminary, Simone was raised by her “aunties and uncles” from all over the world. The relationship between individual identity and global community fostered in that early environment is at the heart of her desire to become a physician. She’s happiest when she is innovating within the gaps of health care, leading UCLA Mobile Clinic Companion Care, an accompaniment initiative connecting persons experiencing homelessness in West Hollywood to medical, mental health, and social services; founding Girl the World Over, an empowerment platform for girls’ education; and founding The ImmUNITY Campaign, the first student organization committed to advancing equitable access to vaccines. She received the 2014 Philip G. Hubbard Human Rights Award for her work. Through a fellowship with the NIH Fogarty International Center, Simone continued her work on immunization capacity-building at the Gambian Ministry of Health and Social Welfare. She has interned with Partners In Health and the O’Neill Institute for National and Global Health Law examining the feasibility of a Framework Convention on Global Health. Simone served as teaching assistant for the University of Global Health Equity in Kigali, studied the impact of social support networks on stroke outcomes in Boston, provided daily care for orphans in a Romanian neurocritical care unit, and studied the confluence of health and social work in the state of Tamil Nadu, India. She most recently returned from New Delhi where she was on the research team designing and evaluating a stepped-care psychosocial intervention for common mental health problems in Delhi’s government-run schools. Simone holds degrees in Biology and International Studies from the University of Iowa, her honors thesis focusing on the biosociality of global eradication initiatives. Nirshila Chand is a third-year Doctoral Student (DrPH) at Claremont Graduate University, School of Community and Global Health. Her inspiration has always been driven by her cultural heritage and roots from the Fiji Islands as she is Fiji Indian with her family history from South Asia. Furthermore, as immigrants from the Pacific Islands 29 years ago, she grew up with her family in an enriching and blending of global communities in the Bay Area and Los Angeles, Ca. She is excited to share her cultural history and global experiences at the LAGHC. Ambika Verma is a second-year undergraduate at the University of California, Los Angeles majoring in Human Biology and Society with a planned minor in Global Health and hopes to pursue an MD/MPH in the future to advocate for underprivileged populations. Ambika is currently serving as an Advocacy and Campaigns intern for the organization Universities Allied for Essential Medicines where she learns about drug pricing and the access to medicines landscape through research and direct advocacy in order to better understand global health disparities. Aside from her internship, Ambika is involved with research at the Center for Health Sciences, is a member of the Bruin Belles Service Association, volunteers weekly at the Ronald Reagan Medical Center, and works with Project Rishi at UCLA, which addresses various disparities and promotes sustainable development in rural India. Outside of school, her hobbies include traveling and learning about other cultures, photography, and reading. 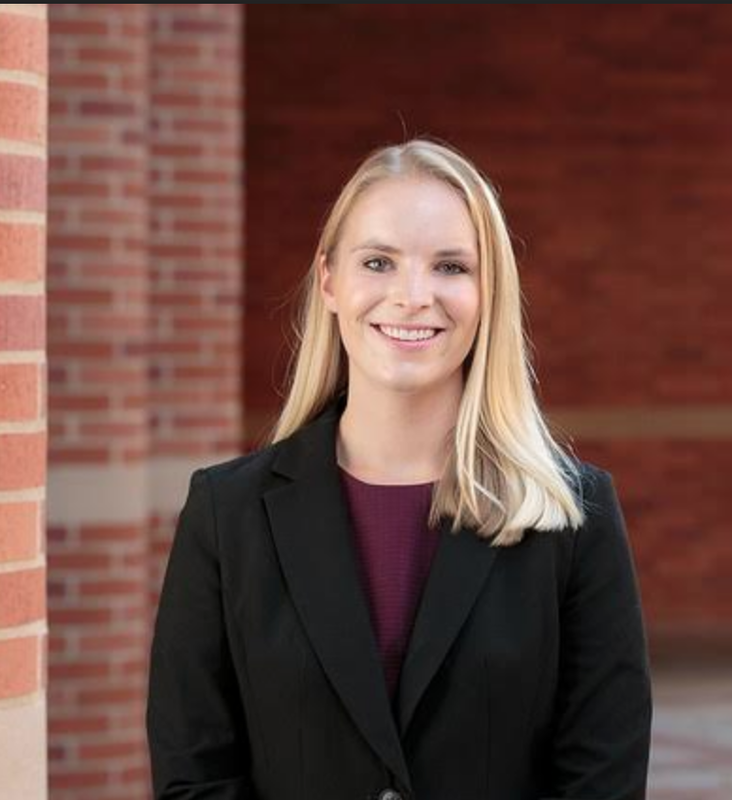 Erin Kelm is a recent graduate of the UCLA Anderson School of Management Class of 2018. At Anderson she focused on Healthcare Management. On campus she was a leader of the Healthcare Business Association and Women’s Business Connection which represent two of her greatest passions – healthcare and women in business. Prior to graduate school, she worked in Life Sciences strategy consulting for pharmaceutical and biotechnology companies at Fuld + Company after graduating from Boston College with a degree in Biology in 2014. Erin is now a member of the Commercial Leadership Program at Amgen, where she will rotate through the functions of sales, marketing, and market access over the next three years. She hopes to make her mark on the healthcare industry by helping pharmaceutical companies successfully and efficiently deliver their therapies to patients in need as a marketer. Colin Meade is a recent graduate of the UCLA Anderson School of Management, Class of 2018. At Anderson, he focused on Healthcare Management and Operations. Before business school, Colin worked as a financial analyst at AMN Healthcare, the nation’s leader in clinical staffing, and for the service program Inglés Abre Puertas as a high school teacher at INSUCO, in Santiago, Chile. Most recently, he worked for CVS Health in a pharmacy operations role. Colin currently works for HealthCare Partners as the Site Administrator for two clinics in Huntington Beach, overseeing twenty-eight providers and twelve specialties. Colin aims to serve the clinics’ patient populations and grow managed care in Southern California while also playing beach volleyball as much as he can. Jaleah Rutledge of Birmingham, AL is a 1st year doctoral student in the Ecological-Community Psychology program at Michigan State University. She received her BA in Communications and BS in Psychology from Tuskegee University in 2018. She is currently interested in understanding the impact of culture on the sexual risk behaviors of African-American women and plans to use this information to develop culturally relevant programming. Asli Pekcan is a fourth year Neuroscience major at UCLA from Basking Ridge, NJ. She is the Internal Co-President of GlobeMed at UCLA, a student-run non-profit organization, that is partnered with the Mpoma Community HIV/AIDS Initiative (MCHI) in Uganda on a Water Access, Sanitation, and Hygiene (WASH) project. During the summer of 2018, Asli participated in a grassroots onsite work internship with MCHI, where she and two other UCLA students conducted surveys and collected data evaluating the impact of the WASH project. Her current research focuses on the financial sustainability of community based water systems in Nama Subcounty, which holds implications for improving similar systems across the region. Additionally, Asli works as a research assistant in a neurobiology lab at UCLA studying learning and memory. In the future, Asli hopes to follow a career path that blends her passions for global health, research, and medicine. Megan Ren is a fourth-year student at UCLA majoring in Molecular, Cell, and Developmental Biology and minoring in Global Health. She is passionate about reducing health/healthcare disparities and plans on pursuing an MD/MPH to better advocate for disadvantaged populations. She first became interested in global health after joining the student organization Fellowship for International Service and Health (FISH), and is incredibly grateful for the opportunities that the club has given her to learn more about the field and contribute to the development of sustainable health interventions. Aside from FISH, Megan serves as president of the Alumni Scholars Club, volunteers with Swipe Out Hunger, and does research on cancer immunotherapy. Her hobbies include reading, hiking, and traveling. Julia is a second-year medical student at the David Geffen School of Medicine at UCLA. She studied human biology and studio arts at the University of California, San Diego and worked in cancer therapy research prior to medical school. Julia’s interest in global health started when she volunteered as a summer school teacher in rural China. During her time in San Diego, this interest grew through her frequent visits to Tijuana, Mexico, where she worked with a medical team to bring free healthcare to the homeless community. Julia spent the summer after her first year of medical school in Shanghai, China, where she worked in a pediatric neurosurgery clinic to study the barriers to surgical care faced by Chinese children with neural tube defects. Julia’s current research interests include barriers to care, social stigma, and quality of life in children with congenital conditions and physical disabilities. During her free time, Julia enjoys traveling and experiencing different cultures through food. Katherine Schmarje, MPH, is a PhD student in the UCSD/SDSU Joint Doctoral Program in Public Health, Global Health track. She is currently working with Dr. Susan Kiene as a data manager on the PATH Study which aims to enhance access to HIV care in rural Uganda. Katherine’s interests include maternal/child health, HIV, health behavior, infectious disease epidemiology, depression, and disease prevention. Katherine was born and raised on the central coast of California. She completed her Bachelors in Health Sciences from SDSU before she went on to complete her MPH with an epidemiology emphasis from UC Davis. Katherine was also a California Epidemiologic Investigation (Cal-EIS) Fellow. She was placed with Napa County Public Health where she worked closely with emergency preparedness, communicable disease, and chronic disease teams. Katherine has also participated in a Community Assessment for Public Health Emergency Response (CASPER) during her fellowship where she traveled to Mariposa County, California, to aid with a drought assessment. Recently, Katherine spent time in Jinja, Uganda conducting a study that aimed to identify factors associated with male partner involvement in prevention of mother-to-child- transmission (PMTCT) of HIV in the post-partum period. She collaborated with colleagues from SDSU and Makerere School of Public Health to plan and implement the study in various health centers in Jinja District, Uganda. Katherine hopes to continue her work with maternal/child health and HIV in Uganda for her dissertation. Makela Stankey is a second-year medical student at USC-Keck School of Medicine. She has a passion for health equity and social justice, serving as co-president for Keck-USC’s Global Health Student Interest Group and as the community outreach coordinator for Protect our Patients, a medical student interest group that advocates for the health and well-being of LA County + USC Medical Center’s patient community. Makela was a Neuroscience major at the University of Virginia. At UVA she studied the social determinants of asthma in Saint Kitts and Nevis over the summer of her second year, where she first recognized the importance of addressing biopsychosocial factors in patient care and sparked her interest in global health. Outside of medicine she enjoys travel, outdoor recreation, and reading. Ann is a current second year medical school student at David Geffen School of Medicine at UCLA. She was born in Southern China and grew up in San Francisco. She graduated from Whitman College in 2014 with a bachelor's degree in Film & Media Studies and minors in Chinese and Psychology. She subsequently completed a Postbaccalaureate Premedical Program at Bryn Mawr College in 2016. She loves diverse languages and cultures: she spent a summer in Yunnan, China in 2011 learning about ethnic minorities and their ways of life through an anthropological lens and a summer in Wonju, Korea in 2013 studying Korean language and culture. Coming from a bicultural and bilingual background, with native fluency in Cantonese, Mandarin and Toishanese, she has always wanted to explore how diverse cultures and religious practices might influence different symptom manifestations of psychiatric disorders. She aspires to research about varying psychiatric and neurological disorders, especially schizophrenia, and address mental health stigma. Taiwan native Estelle (Ning) Yao is a third year undergraduate at UCLA. She majors in human biology and society with double minors in bioinformatics and public health. She is a passionate global health advocate seeking health solutions at the intersection of public health and technology. She aims to further the reach of digital healthcare and precision medicine into underserved communities, to remove barriers to healthcare, and to increase healthcare efficiency and outcomes globally. She is currently working at a bioinformatics research laboratory at California NanoSystems Institute at UCLA to find the genetic etiology for cancer. Estelle is also the president of PILOT: Public Health Initiative Leaders of Tomorrow, the only pre-professional public health club on the UCLA campus that fosters a sense of community for undergraduate students and develops professional connections in all fields of public health. Colby Passaro is a 4th year medical student at the University of Tennessee Health Science Center, and completed this work as a Pre-Doctoral Fellow in the UCLA South American Program in HIV Prevention Research (SAPHIR) between his third and fourth years of medical school. He graduated from Vanderbilt University with a bachelor's degree in Subaltern Studies and worked in community organizing as a Campaign Director for Grassroots Campaigns before returning to Vanderbilt to do community-based clinical research and complete an MPH in Global Health. His international research has been centered around the prevention of infectious diseases in vulnerable populations in Latin America, specifically Argentina and Peru. He is a fluent Spanish-speaker. Colby is applying to Emergency Medicine for residency, and his clinical interests include the social determinants of health, community-engaged research, and quality improvement projects for better patient outcomes. Vitaley Kovalev received his undergraduate education at California State University, Northridge. He then attended Touro University - California where he graduated with his Master of Science in Physician Assistant Studies and Master of Public Health in 2012. Currently he is a second-year osteopathic medical student at Western University of Health Sciences in Pomona with aspirations to specialize in surgery. Jericha Viduya is currently a third-year medical student at the University of California, Riverside School of Medicine. She graduated from UC Riverside with a Bachelor of Science in Biology. One of the most important aspects of Jericha's endeavors is the involvement in her community. In college, she developed a community service and music organization that worked closely with homeless children. In medical school, she served as a clinic manager for her school’s student-run free clinic and conducted research at a California jail. In her future, she hopes to find a career and specialty that will allow her to continue to serve her community. Kanwaldeep Rai is a fourth-year Biology Major at UCLA from Fresno, CA. She is passionate about healthcare disparities in migratory populations and plans to pursue a MD in the future. Her passion for healthcare policy developed after she witnessed health disparities among the Punjabi population in the Central Valley. She is the Data Analyst of the Bhagat Puran Singh Health Initiative (BPSHI), a student-run non-profit healthcare organization that partners with local Los Angeles Sikh Temples to address the Punjab populations health needs. Over the past two years, she has helped develop a more focused approach to addressing health disparities in a culturally competent manner, hoping to create sustainable health practices within the community. Additionally, Kanwaldeep works as a medical scribe in a Family Practice Clinic in Santa Monica, is the President of the EEB Undergraduate Association, and volunteers at Ronald Reagan Medical Center through ARC. In the future, she hopes to influence healthcare reform for underserved population while practicing medicine. Bianca Mallari is a fourth-year student at UCLA majoring in Human Biology and Society with a concentration in Medicine and Public health hoping to pursue a MD/MPH in the future. Growing up in the Philippines and then immigrating to America opened her eyes to the stark differences in health outcomes and has sparked her passion for reducing health/healthcare disparities. Her interest for traveling, learning about other cultures, and clinical experience are what initially attracted her to Flying Samaritans, a student-run organization operating a free clinic in Tijuana, Mexico, and she is grateful to be a part of an enriching experience that aims to provide sustainable and empowering health interventions. She currently serves as Co-Public Health Coordinator for Flying Samaritans in which she is overseeing the launch of a ‘Diet Prescription’ Project to help combat diet-related illnesses within Flying Samaritans’ clinic population. Aside from Flying Samaritans, Bianca sits on the board of the American Medical Women’s Association, is a co-founder of Peers Espousing Amiability, Cooperation, and Education (PEACE), and does research testing novel Type 1 Diabetes therapeutics in mouse models. Jiyoung Lee is a first-year medical student at the David Geffen School of Medicine at UCLA. She graduated from Wellesley College, where she majored in Neuroscience and developed a passion for serving asylum seekers and refugees. In particular, she worked closely with North Korean refugees and served as a consultant for North Korean Intellectuals Solidarity, a NK refugee run organization that focuses on NK democratization and resettlement research. She is currently the Director of Public Relations at Los Angeles Human Rights Initiative (LAHRI) at UCLA.